Happy April friends! Spring is here and summer won’t be far behind. Our new house has a pool so I am counting down the days till we can open the pool and enjoy it for the first time. However, we still have February and March to discuss before we go much further. You know what I’m talking about…monthly favorites! I didn’t get to do February favorites so I thought I would just add it to this post. These last few months have been so hectic! But there are too many good things I’ve been using these past two months. Skincare, TV, and of course a few makeup items! 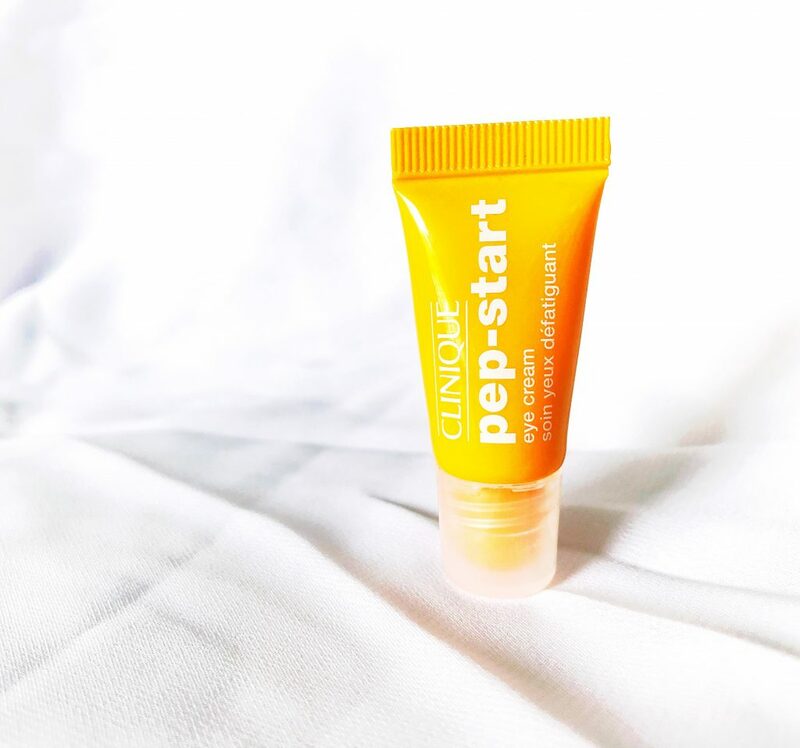 I’ve actually been trying some new stuff again so I was excited to chat about some of these products in my monthly favorites. My current holy grail item right now. I’ve mentioned this skincare product before in a skincare favorites post and a monthly favorites but I have been really loving it again these last few months. If you have sensitive skin, like me, exfoliating your face can be tricky. Sometimes scrubs are way too harsh for my skin and end up making my skin feel burned or raw. 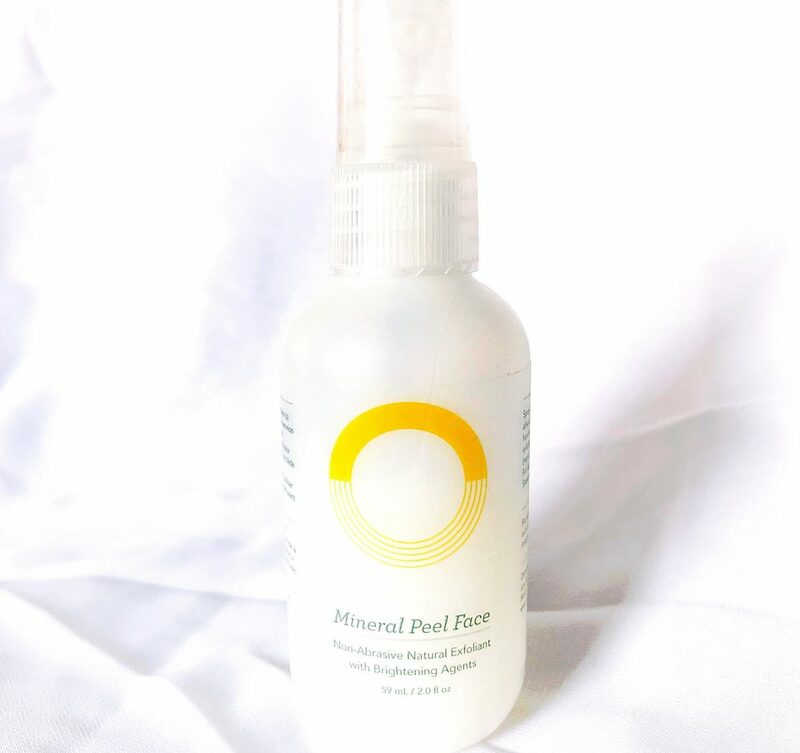 I actually found this mineral peel in a FabFitFun box I bought long ago and was immediately hesitant by the word “peel.” I can’t even use peel-off masks because they are too strong for my skin. But I gave this a try and was shocked! This is a spray product I typically use at the end of my shower. I turn the water cold, so it’s not too hot on my face and use this. I spray it all over my face- from forehead to neck. After letting it sit for a minute, I use my fingertips to lightly do circular motions across my whole face. Friends, the dead/dry skin literally rubs off. I love this because it’s gentle but effective! And you can control how much pressure you put on your face as your rubbing the spray into your skin- great for sensitive skin. I know, I know… I’m late to the party. 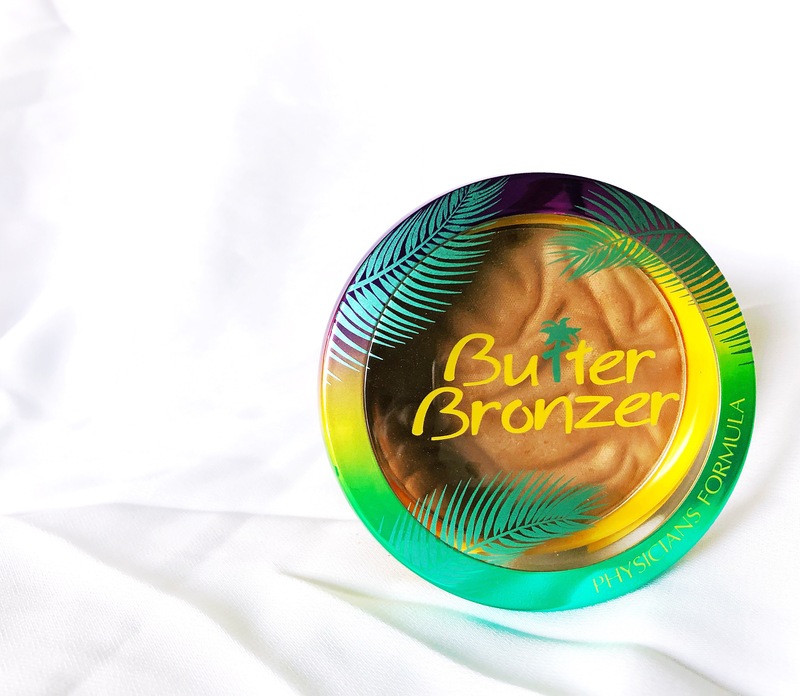 This is my first time trying butter bronzer…but better late than never, right? 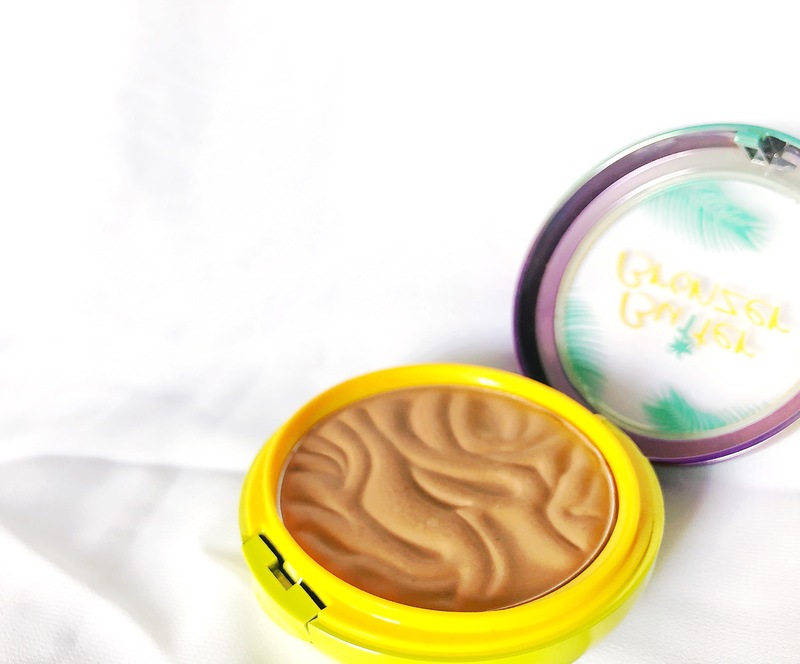 I would say that this is one of the best and most popular bronzers both in the drugstore world and beyond. First off, it smells heavenly- coconut and sunscreen are what I’m reminded of each time I open it. I purchased the regular shade “bronzer” which I believe is the original shade they came out with. There is a lighter shade but I’m very glad that I didn’t get that one. This shade is perfect for my skin tone and I think the lighter one might have been too light for me. Overall, such a great bronzer! Such. Great. Colors. I saw a few beauty guru’s use this on their channels on YouTube and immediately ordered it online. Flower Beauty is a newer company for me, in fact, this is the first eye product I’ve ever used. Honestly, this is a great little palette. 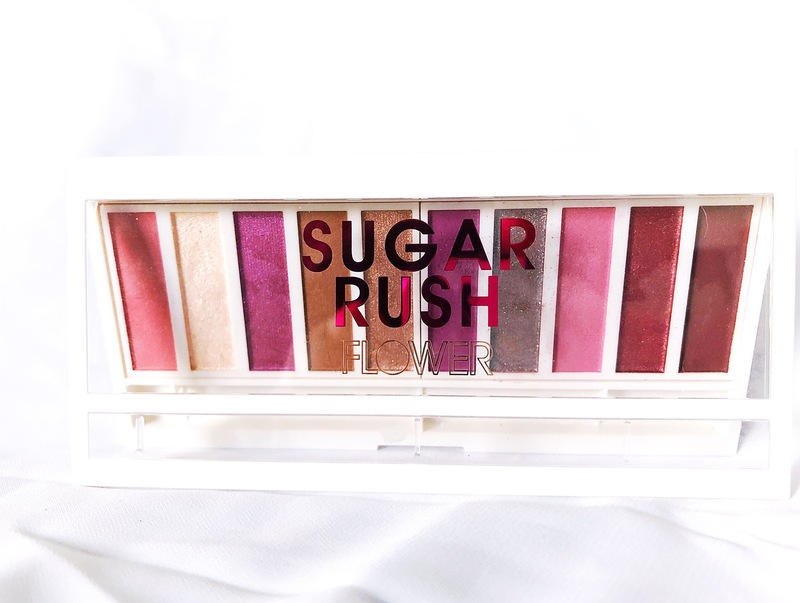 It’s a little more than typical drugstore palette’s but so worth it. 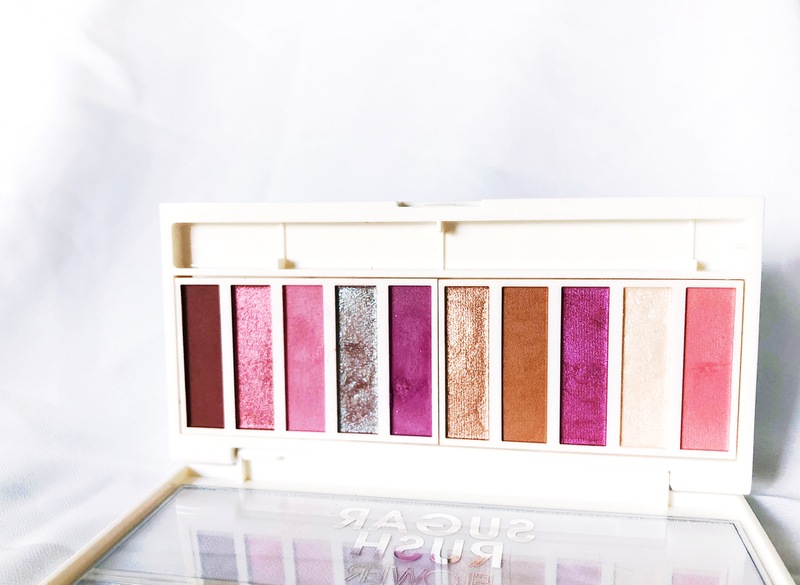 I am obsessed with the pink/magenta/purple shades of this palette- perfect for spring. I’ve already done a cute look with it, the picture is down below. There is a silvery/holographic/duo-chrome shade that is just gorgeous! I loved adding it to the lid with those pinky shades in the crease. The palette, overall, is great! 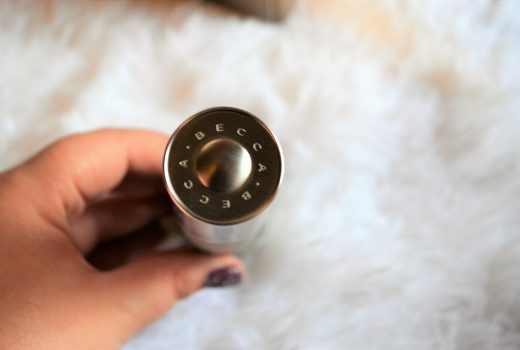 It’s blendable and pigmented- very easy to use. Another find thanks to Sephora Play! There are about 10% of these travel size items I hate getting and end up never using but then… there are gems like this! Like I said above, I have very sensitive skin and I’m always scared to use eye creams and serums. I’ve tried some products that are just way too strong for my skin so it’s always a bit of a guess when I try something new. All that to say, this eye cream was a pleasant surprise! It seems gentle and cooling on my under eyes without being too harsh. There have been times that I have put on eye creams and my under eyes just start burning- not this! The cream is to brighten, hydrates, and de-puffs. Looking forward to buying a full size! My momma bought me these brushes for Christmas. I am so glad they are the ones she got. 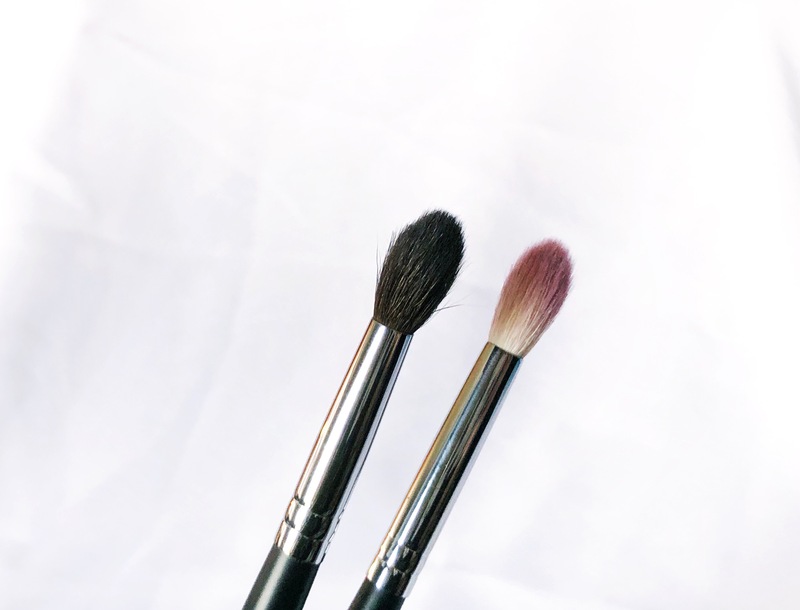 These are soft, don’t shed, and have a great shape for buffing out the crease. 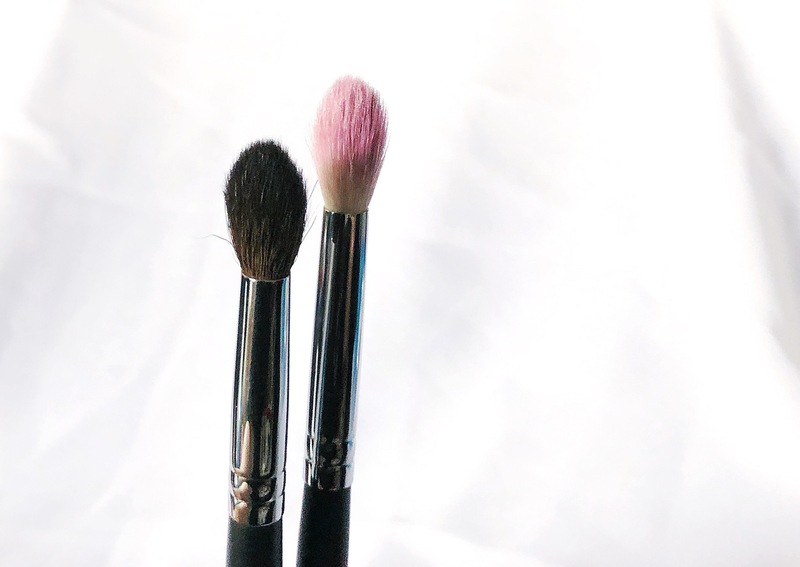 Both of these are crease brushes but are tapered at the top to help get into the smaller areas of the eye. They label them as blender brushes which is a good way to explain it too. I use this to pack on color and buff it out on the lid. They’re great quality and yet very affordable! They are basically the same brush but M505 is a touch shorter and a little fatter. With everything going on in my life, anxiety seems to be a fight lately. When I keep my mind busy, I keep my anxiety low. So reading is a great way to spend my time. I was looking online for something new to read and stumbled upon this author and this series in particular. Thanks to my local library I was able to start this series quickly. I’ve already finished the first two of the four-part series. I’m currently reading the third. I love this series! It’s both romantic, suspenseful, wholesome, and easy to read. The first book was finished in about a day and a half. They are so well written that they flow easily and you don’t realize how much you’ve read! Long story short, this is for you dad. My dad and I had just finished watching a big part of the NCIS series when he died. I’ve started it again and am loving it. This show is so fun and easy to watch. It keeps you both curious and thinking but also gives you some laughs. There isn’t much to say about NCIS but you need to watch it. Ok, ok, ladies…I was never a fan of Gilmore Girls. My mom and sister loved it and it was their show. However, I never really liked the show. I found Rory to be annoying and obnoxious. BUT, I gave it another try after my family telling me once again that I would like it. I have been watching this for the last few weeks and have been pleasantly surprised at how much I have enjoyed it. I’m not sure what caused my change of heart, because I still secretly find Rory annoying, but I have grown to love this show! If you’ve never seen it, definitely give it a try.